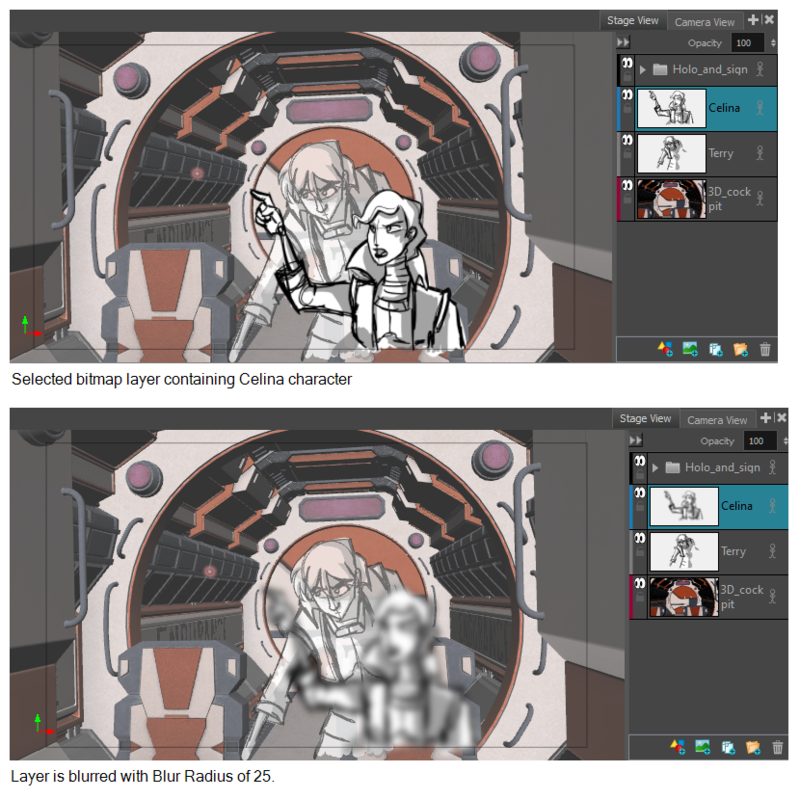 If the layer on which you want to apply an effect is a vector layer, you must first convert it to a bitmap layer— see Converting Layers between Bitmap and Vector Layers. Select the layer(s) on which you want to apply an effect. Right-click the layer and select Apply Effect on Bitmap Layer . From the top menu, select Layer > Apply Effect on Bitmap Layer. In the dialog box, enter your parameters. For more information, see Blur Dialog Box as well as Radial Zoom Blur Dialog Box and Directional Blur Dialog Box.